My mum is a pro at baking cakes or any type of yummy desserts so it was only fair to share at least one of her best recipes with you. 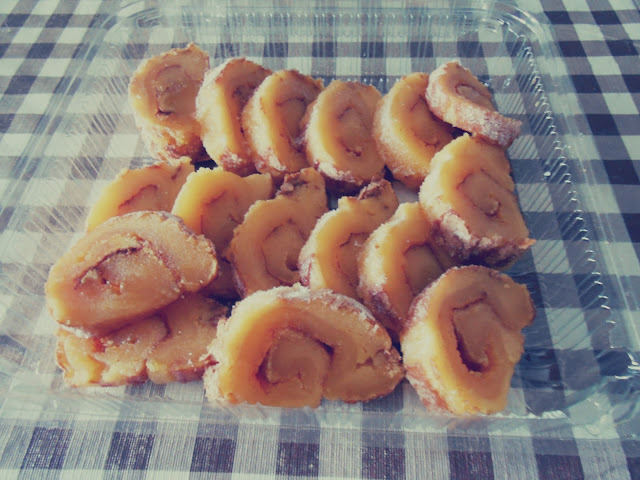 She told me this is a regional sweet of our city and I don't know if you can translate the name so I will just type it in Portuguese. Also, I'm going to use our weight measurements, you'll have to convert them to your own; if you try to make it yourself, let me know in the comments how it went. And if you make a post about it, leave the link and I'll check it out! 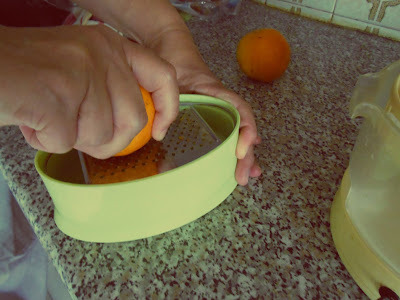 Start by grating the orange peel. 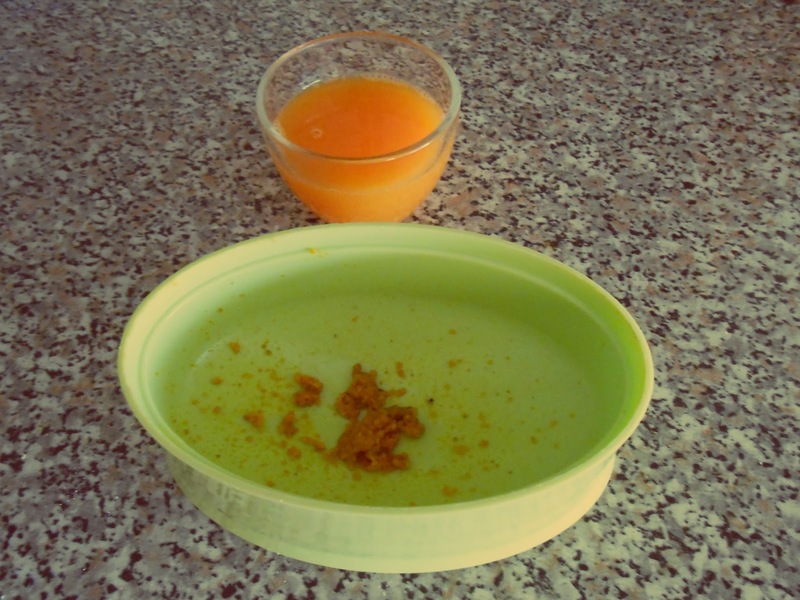 Only remove the orange coloured part, which is the zest. The white layer underneath is the pith and is very bitter. After a few grating strokes on a given edge, just rotate the orange around until you have the teaspoon you need. 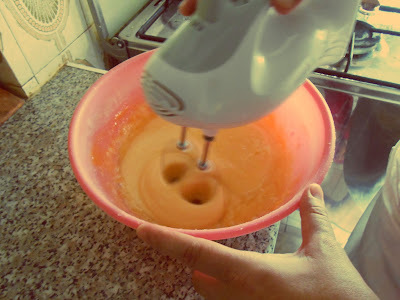 If you use 2 oranges, do this process with both of them. Afterwards juice the orange using a plain juicer to coax all the juice out. Again, do this with both oranges if you use 2. In a bowl, mix up the flour, the sugar and the baking powder. After you blend them together, add the eggs. Don't put them all in at the same time - add 2, blend them in, add another 2, blend them in, etc until you have done that with all of the 10 eggs. 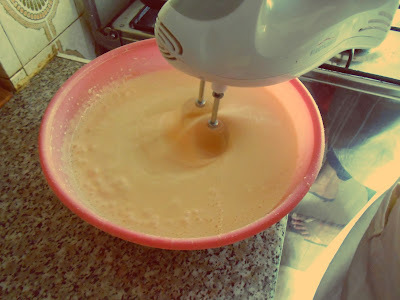 When everything is nicely mixed, you can finally add the orange juice and the peel and blend them in. Whilst doing so, you should already have the butter melting in a frying pan with the minimum temperature. After all of that is done, grease your baking pan with the melted butter. 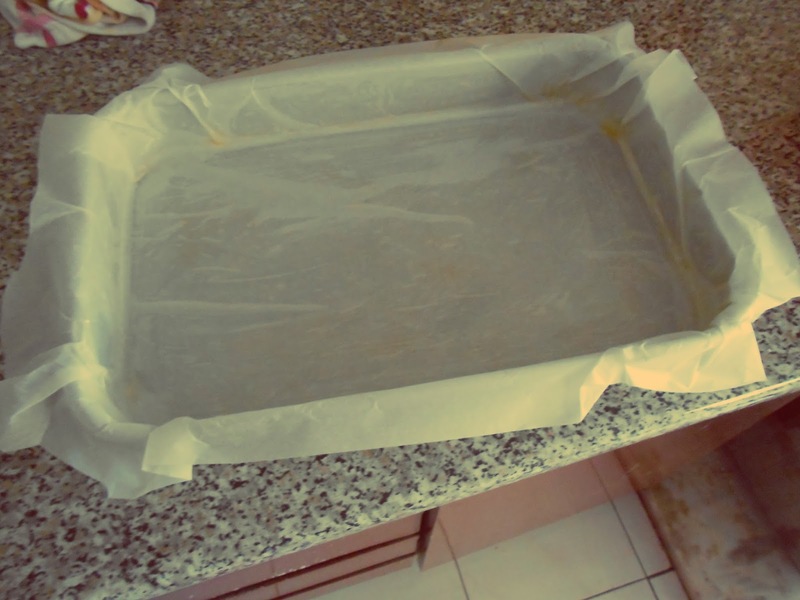 Grab your parchment baking paper and put it on your baking pan, that is already greased. Grease the parchment paper with the butter and then lay the mixture on it slowly and well-proportioned. Put it on the oven for 25 minutes precisely and on minimum temperature. 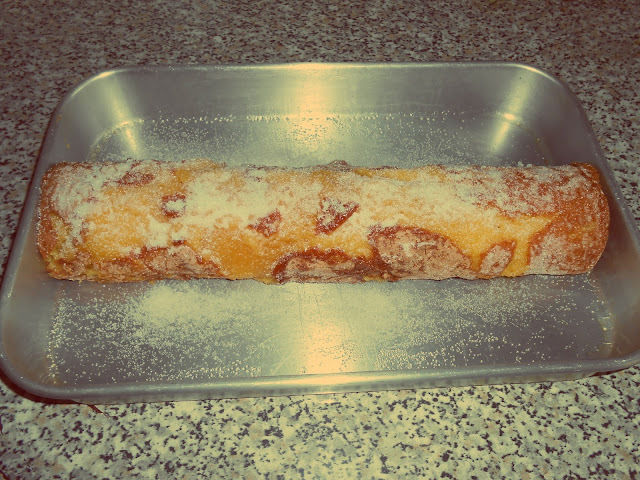 When it's ready, add sugar on top of it. And now comes the hard part, I'd say. Take more of your parchment baking paper and place it on your table. 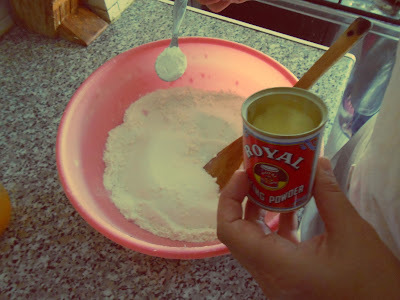 Grab the baking pan with the "torta" in it and flip it nicely into the paper so that the part with the sugar is now facing down. Start rolling the paper upwards so you get the right shape, just like the photo, and roll it until the end. Before moving on, you really need to let it cool down so it doesn't break when you move it back into the baking pan. When you feel that it is ready, place it on the baking pan and remove the parchment paper. 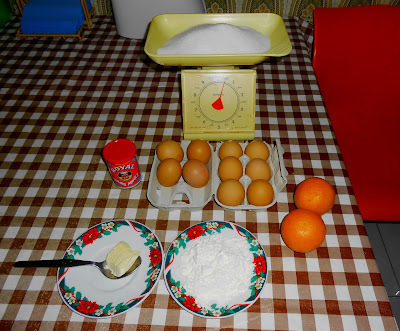 Add more sugar on top if you want and voilá, your "torta de laranja" is ready! You can cut it into little slices for a better presentation. Yummy!